This week, Ailsa‘s photo challenge theme is Frame. There are two countries I’ve got a million photos of with frames: Uzbekistan and Iran. This is due to the type of architecture, that uses plenty of gates and doors geometrically framing the medresa’s doors and domes. And this is a great opportunity, as I can’t imagine anyone remaining cold to the beauty of Central Asia’s blue tiled doors and domes. Actually, I think that the more we show them, the more people will understand that Iran is an incredibly beautiful place totally worth visiting. 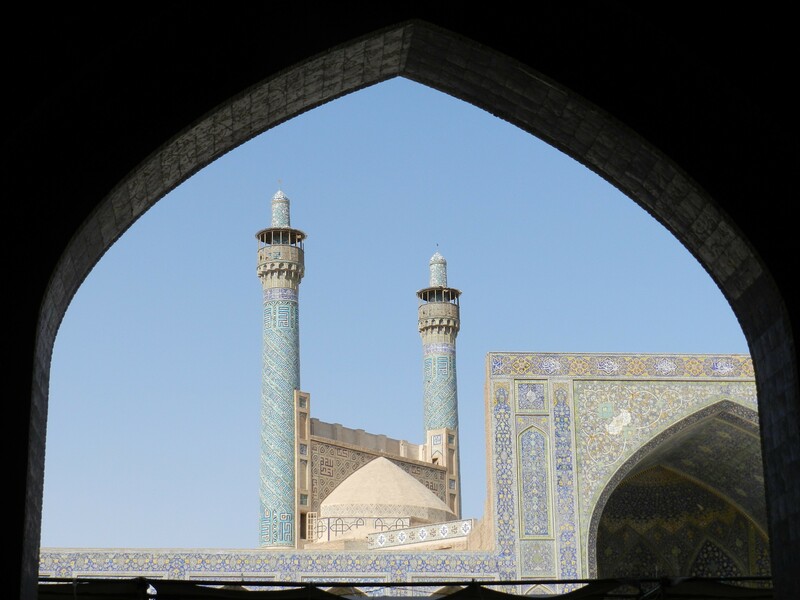 I photographed this “frame” in Esfahan (Ispahan) in August 2013. I hope it makes you feel like visiting Iran! < Previous I hate autumn!